How does Amazon Underground work? Ever thought of buying an android app or game? Did you buy it? Well, Nobody likes paying full price when they don’t have to. And when a little resourcefulness can get you some of the hottest paid apps for free, why should you settle for paying more? 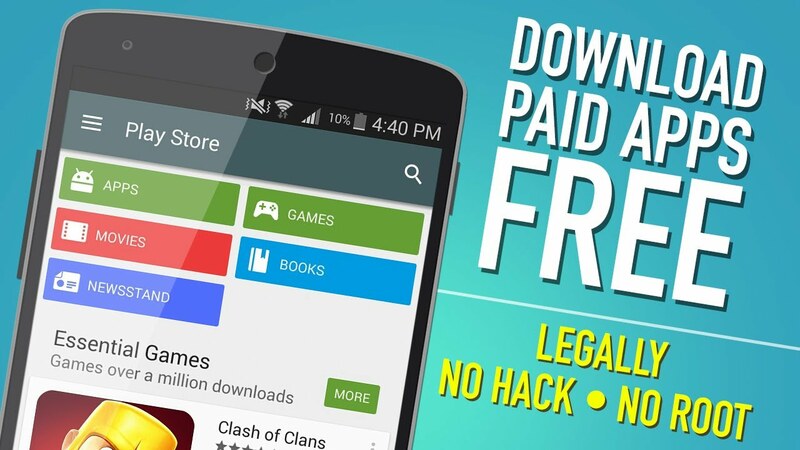 Here’s how to get paid apps for free on Android. Perusing app discount tracking sites or Android apps is probably the most straightforward approach to finding Android freebies. Such sites and apps are a respectable place to start, and a great option for those who don’t want to dedicate a lot of time to the endeavour. Google Opinion Rewards, first of all are not available everywhere, if you are among those countries where this is available then you can earn rewards by answering some simple queries kind of a survey and then spend those points to get apps for free. Technically speaking, not free, yet you won’t be spending some real money to buy apps/games from Google Play Store. The app drops you a push notification when a new poll is ready for you, and once you’re done taking the survey, the app dumps credit into a tally on the app, next to a portal that takes you in the Play Store with your credit. The one catch is you have to work on the app’s timetable, meaning once a survey is sent out, you only have so many hours to fill it out before it’s gone. Did you know that Amazon has an App Store from where you can get apps/games, etc? Well, there is one and it has long been striving to undercut Google’s presence on Android, and one way Amazon does so is through its own app store. To access Amazon’s store (and, by extension, Amazon Underground), you must manually install it first. Go back to the Amazon installer you downloaded and tap it. If you didn’t specify another download location, it will be in your Download folder, which is accessible by going to Settings > Storage > Files > Download. Amazon unveiled the Amazon Underground program, which employs a different monetization scheme for developers: Instead of making users pay for apps or in-app-purchases, users are shown ads on download and Amazon passes the revenue on to developers at a set rate per minute that users spend using the app. The idea is users are more willing to use ad-supported apps than paid apps, and developers are rewarded for keeping users hooked. Amazon Underground isn’t accepting any new apps and will shut down sometime next year, but users may still access previously listed apps. The easiest way to find these apps is to go to the Amazon Underground page on your device’s browser, tap the app you want and it will open in your Amazon App Store. Developers often find their fans by announcing giveaways where their fans are more likely to look: on the developer’s social media pages. Unless you know the names of the ones whose apps you’re most interested in, the best way to find developers is to find online communities where developers mingle. For example, if you search for “Android icon packs” on Google+, you’ll find a few rolling threads where icon pack creators go to market their wares, with many of them handing out a finite set of promo codes. Other good social networks for finding developers are Reddit and XDA Developers. A good number of the promo code giveaways by developers are also compiled in an app by Neelam Bhanushali called “Apps sale”, which basically reproduces a Google+ feed with the same objective. Some developers release free betas of apps they plan to sell later. You can find these apps by searching the Play Store for “beta”, “dev”, “testing” or similar terms and seeing what comes up. A good sign you’re on the right track is if you see the “Early Access” designation where the price is usually listed in the search results page. There’s actually a dedicated section of the Play Store for Early Access apps called“Early Access.” In the Play Store, from the home page, simply swipe the list of app categories under the list of different Play Stores to the left until you find “Early Access”.